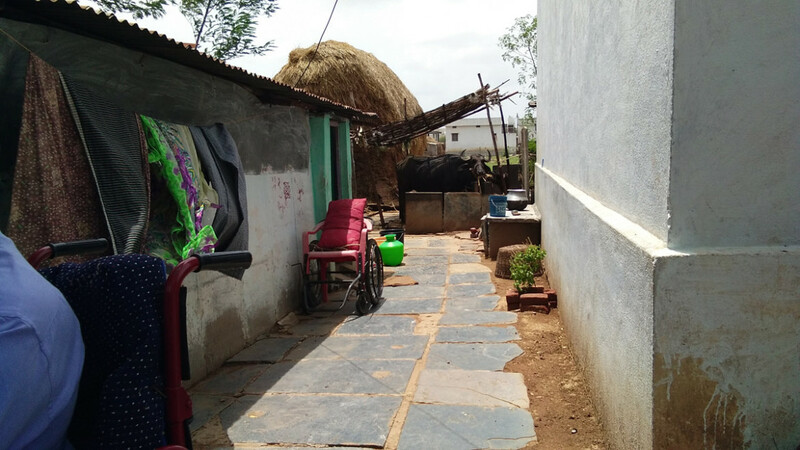 This is a story of Shivalaxmi a poor women dairy farmer from a small village of Nandyal, Andhra Pradesh living with Spinal Cord Injury husband and two daughters. 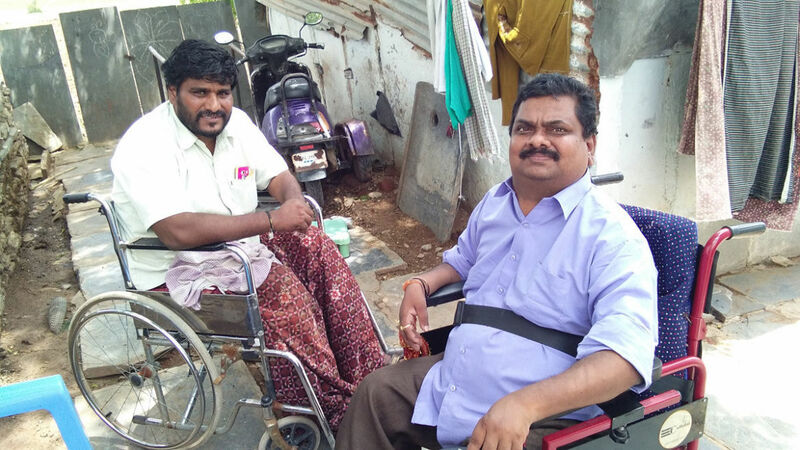 Her husband Balaraju met with an accident in the year 2009 which lead to his Spinal Cord Injury. He survived after a major operation done in NIMS Hospital Hyderabad. But their dream world has been shackled suddenly. 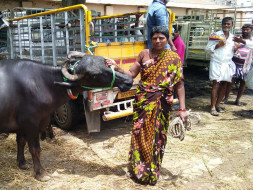 Since 7 years Shivalaxmi is the only earning person by selling milk with the 2 cattles they have. They live in a Rental premises. She gets income of Rs. 4,500 every month byselling milk. This amount is insufficient to spend for the household expenses and Husband treatment every month, as House & Cattle shed Rent is Rs.2500. Household expenses go upto Rs. 1500. Her present income is unable to cover other costs like Husband Treatment, Medicines, both girls education, Proper food etc. Shivalaxmi wants to purchase 4 more cows and sell more quantity of milk and buttermilk in the local market. 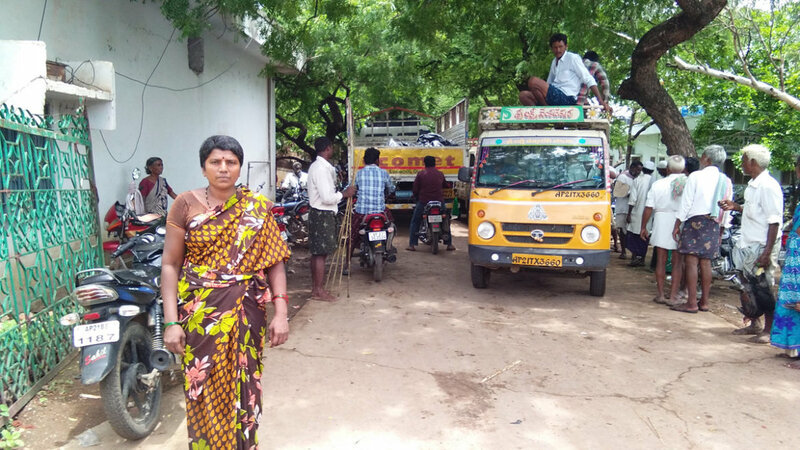 This business boost would allow improving her family’s living standards, take care of Spine Injured Husband, to send her both daughters to school again. Hence, guaranteeing a secure future. It can increase their income by Rs.6000. Her expected monthly income is Rs. 10,500. Wonder on Wheels (WOW) Foundation is raising funds to support Shivalaxmi to help her fight against her life trouble. This fund raise will boost her milk selling business and improve her family’s living standards and also Husband Treatment, Medicines, both girls education, Proper food etc. guaranteeing a secure future. 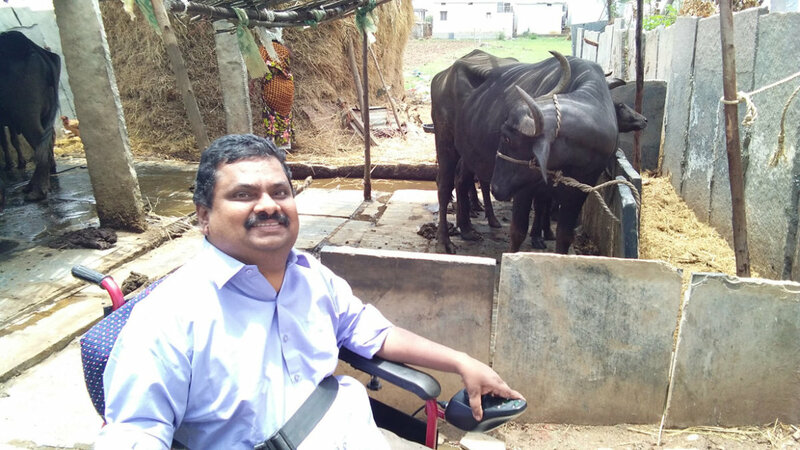 Founded by Narsing Rao Bongurala, Wonder on Wheels (WOW) Foundation primary objective is to bring in awareness, fight for rights of Differently Abled at public places and sensitize various stakeholders to establish accessibility friendly ecosystem across country. We also aim to bring a change by holding hands of the less fortunate, Needy and Poor people. Fulfilling their dreams creating awareness of the problems faced by them. Narsing Rao Bongurala is a truly inspirational person. Moving on Wheelchair started Career as a PCO (Public Telephone Booth Operator) turned to Computers by passion and Migrated from DTP to Graphic Designer & Web Development, Branding Services to Web Accessibility, Presently Working as a Tech Consultantto lot of National and International Software Companies. He is a Self made man. Since 15 years worked for various Corporate Companies for their Branding, Web Design and Promotional collaterals etc. Supporting many NGOs in his own way. He trained a lot of budding web designers on latest web tools free of cost. 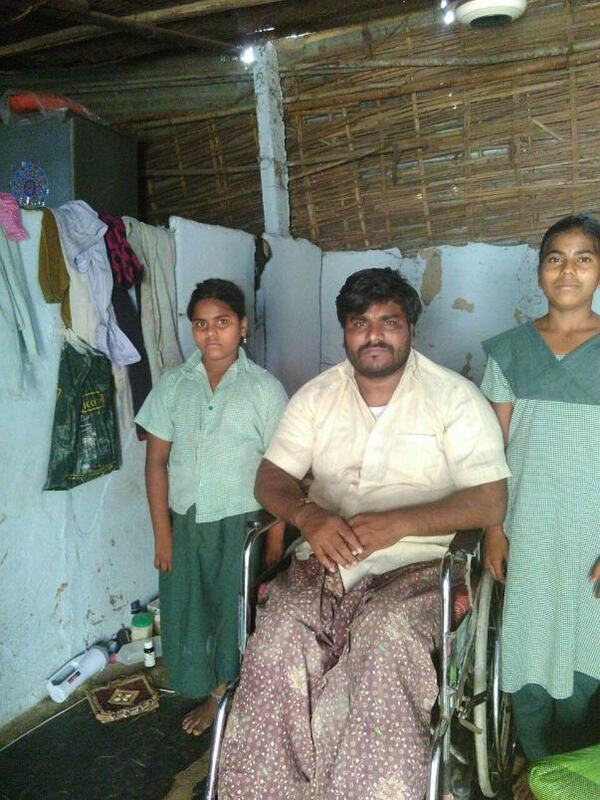 He started an Non Profit Organization called Wonder on Wheels (WOW) Foundation in aim to help the poor and downtrodden people in the society Fulfilling their dreams creating awareness of the problems faced by them and want to motivate those people who consider disability is the end in life. Recently got huge recognization by winning TE3N Movie Poster Competetion. Big B Amirabh Bachchan and Bollywood actress Vidya Balan felicitated Narsing Rao Bongurala on 4th June 2016 in Mumbai. Thank you for your continuous support. Greetings. We are very happy to inform that this campaign has almost fulfilled the Beneficiary target. The cattles have been multiplied through breeding. So now the total cattles increasd to 4 including the cattle purchased through our funds. Hence we are stopping the campaign. Thank you all for supporting a women in need. Also the balance fund we are transferring directly to beneficiary bank account. Greetings. Thank you for your continuous support. Few cattles have been suffering from few diseases like Diarrhoea/calf scours, Constipation, Navel-ill etc. recently. The funds withdawn will be utilized for their treatment etc. 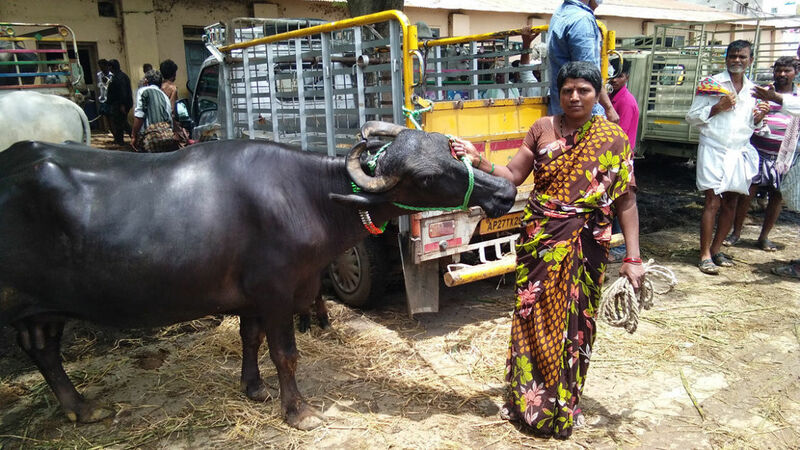 We are very happy to inform you that we purchased 1 cattle with the raised funds in their Village Market (Santha in Nandyal Market Yard). We travelled 600 kms up and down to help the beneficiary in the dealing. The beneficiary were feeling very happy. Also came to know many more problems they are facing. Please spread the message among your friends and family about the Help-A-Poor-Women-Dairy-Farmer Campaign. We will keep you posted about the same.